Congratulations to our ClientÂ MeMoi for their feature on Stylish Southern Mama! 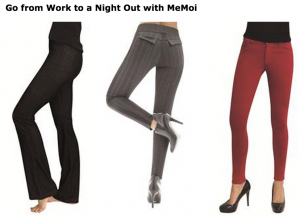 Memoi has been helping women look fit and slim for more than 20 years. MeMoiÂ offers a luxurious collection of comfortable legwear that fits your style. These fashion leggings are soft, comfortable, and made of the finest yarns for a luxurious feel. Their leggings come in a wild array of prints and solids. From their easy ankle zipper legging to their charming ruched Capri skeggings, no matter which pair you choose, you’ll add a new touch of style and class to your wardrobe. Check them out atÂ memoistore.com!